I’ve seen a lot of Common Wood Nymph butterflies while hiking at Fort Hill lately, especially in the evenings as they love the grassy borders of woodland edges and openings. 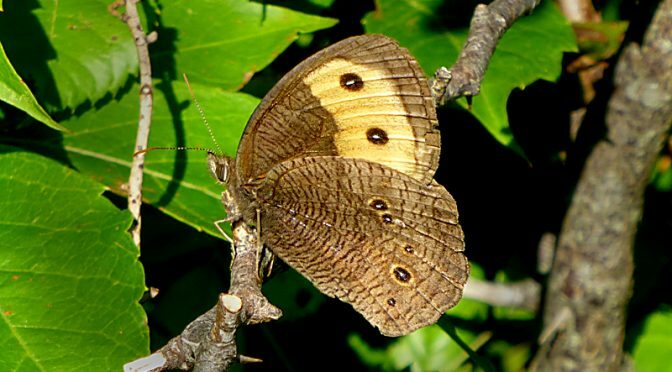 The Common Wood Nymph, mostly tan and brown with two dark eyespots in an orange patch, has a 2″ to 2 7/8″ wingspan. It is very distinguishable. Have you ever seen a Common Wood Nymph?